Successfully Added USB 5V LED Waterproof String Light Lamp Flexible RGB Changing Light Tape with Remote Control Ribbon-400CM to your Shopping Cart. 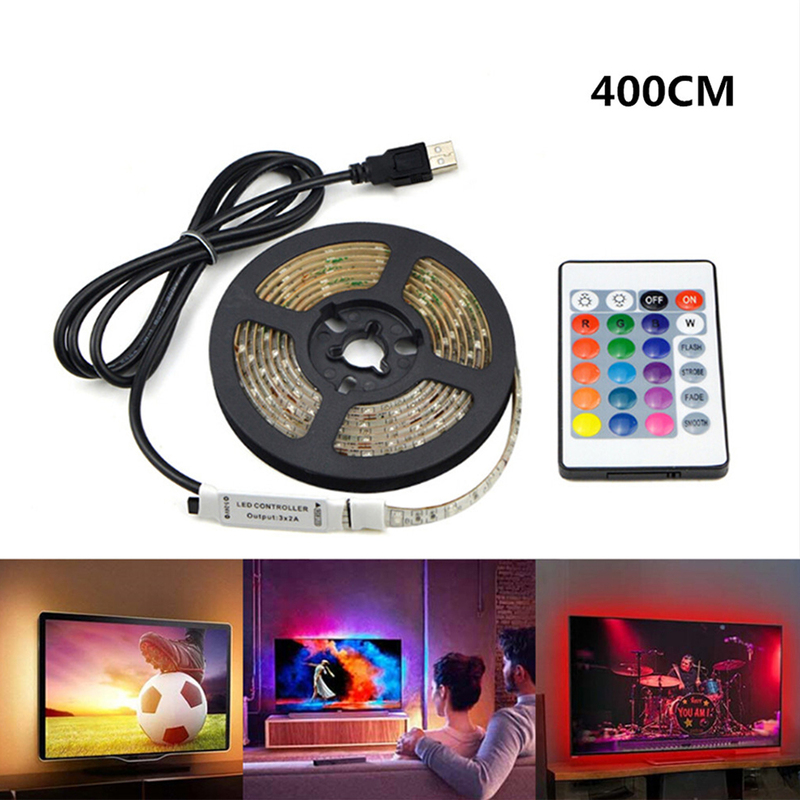 -- Flexible LED strips, makes an exciting bright color lighting effect. -- Eco-friendly material, no radiation, no flicker, harmless to eye. -- Energy saving, heat dissipation, low power consumption and stable performance. -- Fitted with 3M self-adhesive tape, appliy to almost any clean surface. -- Ideal for bay lighting, curtain boxes, shelf lighting, closets and in commercial applications,etc. USB port, such as computers, desktops, laptops, tablets, tags, cigar car cigarette lighters.